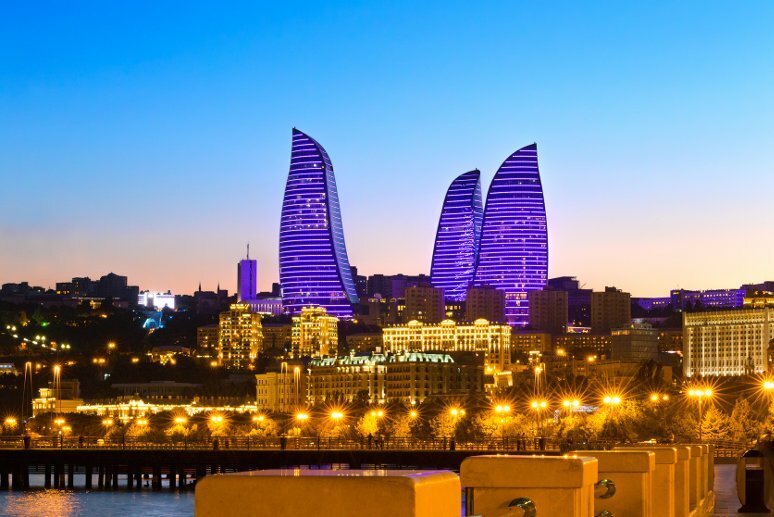 The capital of Azerbaijan Baku is one of the important cities in Caucasus area and major port on the Caspian sea. It occupies the territory of southern shore of Absheron peninsula and has population more than 2 million people. The city has centuries-long history, which finds its reflection in the architecture of the city, historical monuments and archeological finds. It is extremely beautiful city and offers a lot of places to discover. 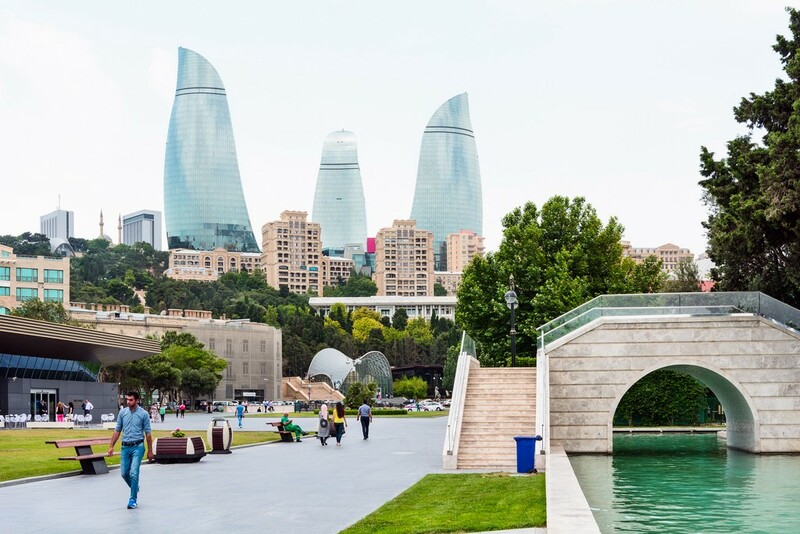 Modern Baku is the cultural, economic and industrial center of the whole country. If you are visiting Baku be ready to fall in love with this city, because the architecture of this place so original, that you can hardly find in other parts of the world. You can see how modern, high-tech buildings look harmoniously with old, traditional buildings. So, if you have decided to visit Baku, you should know about the major highlights of the amazing city. The calling card of the city is the Flame Towers. Three giant buildings really look like flames, and in the evening they are highlighted in an interesting ways. Flame Towers are located next to the Nagorny Park, you can reach them from Primorsky Boulevard on the cable car. This is a complex of 3 uneven buildings, one of which is a hotel, the other is an office, and the third is an apartment. Currently only hotel operates. These magnificent skyscrapers seem to hover over the city, they can be seen from any point, but they look especially fascinating at night. A small building near the old town. 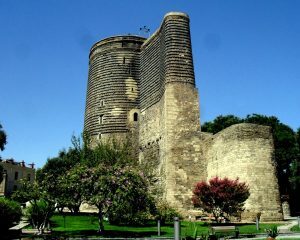 The historical value for Baku and a must-see place for all tourists. According to scientists and historians the Maiden Tower was established in approximately in 11-12 century. Perhaps one of the most mysterious and majestic sights of Baku is the Maiden’s Tower, which is located on the territory of the Icheri Sheher fortress. It is interesting that two legends are connected with the Maiden’s Tower. The first explains its name. Long time ago, the Shah of Baku wanted to marry his daughter to a man she did not like. Then the girl asked her father to build a tower on the seashore and wait for the wedding until the construction was completed. When the tower was established, the daughter of the Shah, who did not want to share her life with unloved person, climbed to the top of the tower and jumped into the sea. According to the second legend, Saint Bartholomew, one of the twelve Christian apostles died at the foot of the Maiden’s Tower. In the last years of his life, he preached Christianity in the cities of Asia Minor and Transcaucasia and, reaching the city of Albanopol, located in the territory of modern Baku, was beheaded. Every year, on the day of commemoration of St. Bartholomew June 24, an Orthodox prayer service is held here. 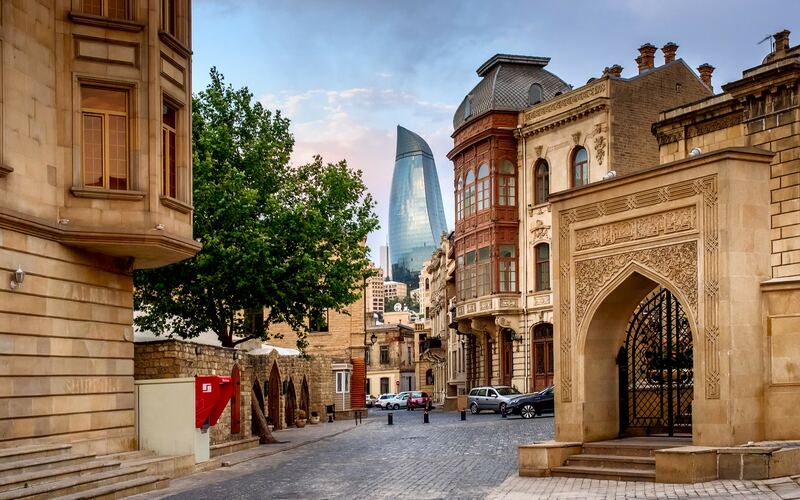 These are only two major highlights of the beautiful city Baku. If you would like to discover the Baku, especially historical places and old party it is better to take guided tours, that can provide with information and historical important facts. The price depends on a group size. The price 1495 EUR per person is available for groups of 4 people. Price from 2660 EUR to 3455 EUR per person (the price depends on a group size). The price 2660 EUR per person is available for groups of 4 people. Price from 3095 USD to 4220 USD per person (the price depends on a group size). The price 3095 USD per person is available for groups of 4 people. Price from 1950 USD to 2850 USD per person (the price depends on a group size). The price 2815 USD per person is available for groups of 4 people. The price depends on a group size. The price 1600 EUR per person is available for groups of 5 people. Price from 1115 USD to 1925 USD per person (the price depends on a group size). The price 1115 USD per person is available for groups of 6 people. The price depends on a group size. The price 950 USD per person is available for groups of 2 people. The price depends on a group size. The price 1245 USD per person is available for groups of 2 people. Price from 726 USD to 1475 USD per person (the price depends on a group size). The price 726 USD per person is available for groups of 6 people. Price from 870 USD to 1590 USD per person (the price depends on a group size). The price 870 USD per person is available for groups of 6 people. Price from 280 USD to 430 USD per person (the price depends on a group size). The price 280 USD per person is available for groups of 6 people. Price from 580 USD to 1135 USD per person (the price depends on a group size). The price 580 USD per person is available for groups of 6 people. Price from 1020 USD to 1830 USD per person (the price depends on a group size). The price 1020 USD per person is available for groups of 6 people.